Planning to bring your guests to the venue in style and on time? Our limousine service would make your event graceful. From picking up your guests up from the airport or from a hotel, we would chauffeur them in elegance and luxury without you having to worry at all. This would make your guests feel special and gather memories to cherish for a lifetime. We have access to a wide range of sedans, stretch limousines and party buses that meet all your needs. 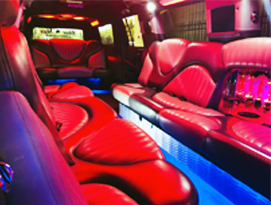 Let us know what you need and we will surely arrange the limo for you.